GraphAcademy offers innovative and flexible offerings to meet all your training and tutorial needs based on role, time and price. Get started quickly – learn about Graph Databases, Neo4j, and Cypher – the Graph Query Language. Learn deployment best practices and how to successfully launch Neo4j in a production environment. Featuring special guests and Neo4j team members, learn about tip and techniques or discover graph database innovations. that you are a Neo4j expert. Neo4j Fundamentals to Graph Data Modeling, get hands-on training and learn from Neo4j experts. Request customized Neo4j training for you and your development team at your office. Complimentary educational program aimed at helping students and faculty learn and teach about graph databases and Neo4j. 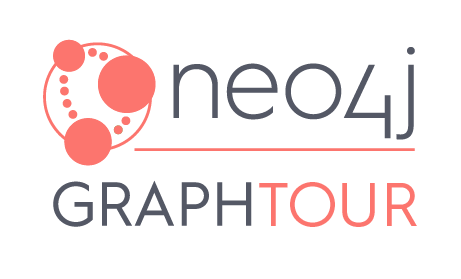 GraphTour Brings Neo4j to a City Near You! Neo4j is hitting the road to bring a full day of content-rich sessions on how graph databases are revolutionising the modern enterprise. Need more? The Neo4j professional services team can help. We offer the Technical bootcamp (duration 4 days) which is a combination of training and consulting services to ensure your project gets off to the right start.